Gavin Barwell has shockingly used a parliamentary debate on the Holocaust to deny and dehumanise the British Race. In the debate which was called by Barwell, nothing was actually debated, a number of MPs took the opportunity to condemn the holocaust and some quite rightly pointed out that there have been many holocausts and that it wasn’t only Jews killed but others as well. If Gavin had wanted a debate perhaps he would have been better off debating why when people were executed for indirect involvement in the holocaust, were the criminals behind the German Vergeltungswaffe (V1 and V2 Rockets) of which 145 landed on Croydon and 1402 on Great Britain in total, treated as heroes with 126 of the principle designers joining NASA, including Wernher von Braun? Barwell again condemned Emma West (mytramexperience), although she still hasn’t been convicted of anything and isn’t allowed to comment due to the ongoing court case. He claimed to have received a number of vile e-mails over his comments about Emma, a claim he had made before but was reluctant to back up. This time he went into a little more detail “For the next two or three weeks, I was subjected to a stream of vile e-mails from people who believe that anyone who is not white cannot be British. They accept that they are British citizens, but they do not accept that they are really British.” He ranted. I can only assume that he considers that, there is no such thing as Indigenous British and stating anything to the contrary is ‘vile’. 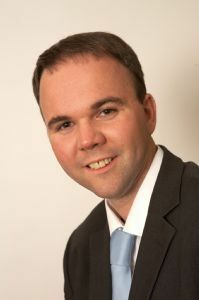 Tomorrow as People remember the Holocausts, Gavin Barwell should look around him at the genocide of the Indigenous British Population, currently going on in London, Birmingham, Manchester and many other places in Great Britain today.